About 30 years ago, I drove my Nissan 280ZX across Canada from my home in Vancouver to Halifax, NB. I feel that the only way to REALLY see a country is to drive across it – see all the majesty, mountains, streams, wheatfields, city towers and in the case of Northern Ontario, boring rocks. But I didn’t get to Newfoundland. I’ve always regretted my omission, and have always been fascinated by the Newfoundland society (talk about a “distinct society”!). So – since I’m retiring soon and will have a lot of time on my hands, I decided it was time to drive across again, this time correcting my omission and exploring the most unique of Canadian Provinces. Now, originally I thought of driving the truck across, towing the travel trailer and driving in style, but then I thought it would be more interesting to take the motorbike. 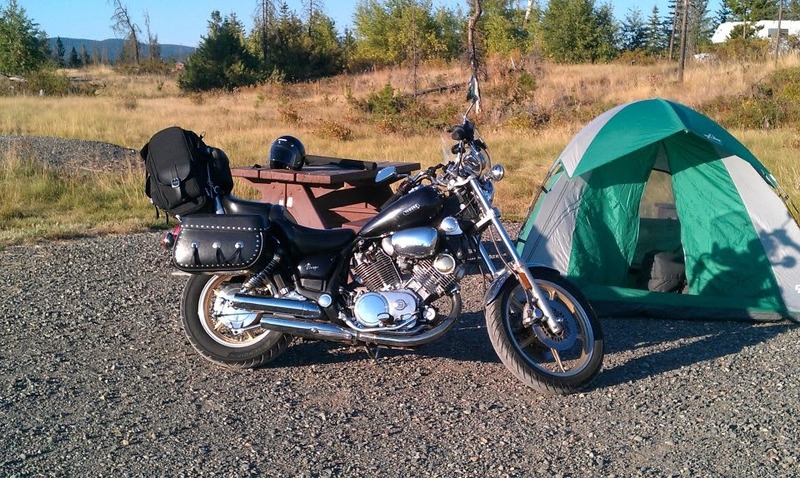 So… I now have a 1984 Virago 750 with side bags, sissy bar and rear rack, getting ready for a cross-country tour. So, in this blog I plan to document why I’m doing this, the preparations and of course the trip itself next summer. Hope you enjoy taking this trip with me!